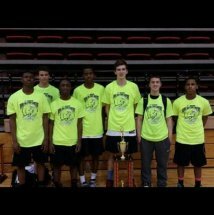 May 17th weekend: 16U Boys (Thomas) win the Harrisburg AAU Super Regional. 63 - 45 victory over Gainesville Elite in the final. April 12th weekend: The 17U boys, also coached by Coach Savercool, began their AAU season at DeSales as well. The 17s dominated the paint in Saturday's action, going 2-0 with wins over Troy Elite (65-26) and Tropics (68-47). In Sunday action, a shorthanded squad for part of the game battled with LL Rebels, but fell short, 55-51 to finish 2-1 in the pool. The team still clinched a playoff berth easily with point differential. 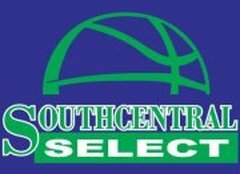 In the semi-final on Sunday, the boys squared off versus national power Syracuse Select, but a slow start and sloppy shooting pointed directly to a loss by double-digits to finish the weekend 2-2. Game 1: Win 55-47 over Bucket Club. Game 2: Win 49-34 over Nook Butler (A). Game 3: Win 42-33 over Philly reach I teach. April 12 weekend: The 16U boys, coached by Coach Savercool, quickly established themselves as the fastest playing group of the tournament. Heavy on the transition game, the boys chalked up four consecutive wins in their pool, deafeating LVBS Elite (76-53), Perkasie Knights (70-45), LL Rebels (54-43), and LC Ballers (59-44). In the tournament semi-final versus Albany City Rocks, the squad continued to scrap their way to victories, winning 66-55. In an intense tournament championship, and a re-match versus the Running Rebels, stout 2nd half defense and timely shooting in the final minute erased a 13-point deficit to lead the 16U boys to the tournament title, 51-50. A picture of the 16s is at the top. 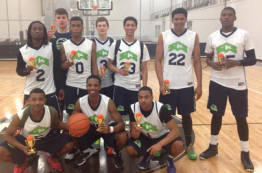 May 3rd weekend: Won the Spooky Nook 16U championship. Game 1: Win 67-30 over Mountain. Game 2: Win 55-33 over Capital Area Elite. Game 3: Win 39-35 over Motion. Game 4: Win 55-30 over True Ballers Game 5: Win over Pittsburgh Storm 59-51.
played the NJ Playaz in the Finals. Christian Mitchell 6'0" PG Manheim Twp. Kevin Bushong 6'0" SG Manheim Twp. April 12th weekend: Hoopgroup Spring Jamfest. u17's went 2-1. Sept. 13th weekend: Our 2015 u18 Ballers won the u18 A division and posted wins over We Got Now, JB Hoops and St Tier Rage. The 2016 u17 Ballers won the u18 B division and posted wins over St Tier Rage, Corning and Oneonta Hoosiers. East Coast. Their first game they won in convincing manner by beating the Keystone Blazers by 40 points. MARCH 29TH WEEKEND. THE U16 YORK BALLERS PLAYED IN THE A GAME SUPER SHOOTOUT. DEFEATED LAST YEARS DIV 2 NATIONAL WINNER STAMFORD PEACE IN THE QUARTERFINALS TO ADVANCE TO BEAT MABC FROM MASSACHUSETTS. THE U16 BALLERS BEAT TEAM FINAL FROM PHILLY IN THE FINALS TO WIN THE CHAMPIONSHIP. 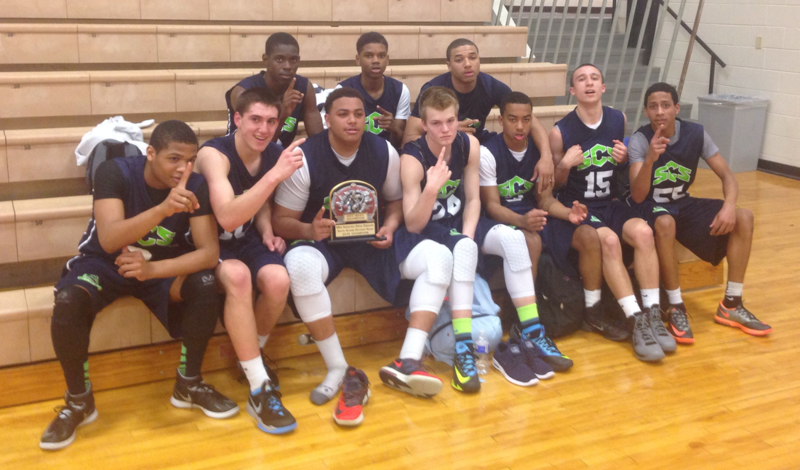 April 5th weekend 16U defeated the PA wildcats at a reading berks red storm tourney to win the u17 championship. May 3rd weekend: Mid-Atlantic Districts: Game 1: Win over Youth Interlock. Game 2: Win over Diamond State. May 25th weekend: We went undefeated in pool play w/ wins over Central Jersey Hawks, Anaconda all-starsand Long Island lightning. Our first game in bracket play we beat Brampton warriors elite and than we eliminated Stamford peace to get to the final 4. We came up short to eventual winners Albany city rocks black. June 7th weekend: u16 at Bucknell Team Camp. We went 5-0 including beating u17 Wayne Pal. DC Thunder in the Final 4.
the finals of the bracket only to lose to MD 3d BBall. July 23rd-28th: The 2016 York Ballers competed at Division 1 Nationals in Kentucky the week of July 23, 2014. They went 2-1 in pool play taking a 5 point loss to the Indiana Thunder. They posted wins over Ohio's Hidden Gems and NBA Mike Millers Tenn. MM3. They entered the champions bracket of AAU Nationals. Their 1st round victory came at the expense of Team One from Ohio 72-62. In the Sweet 16 round they faced Kentucky Elite. Trey Shifflett scored an "and one" with 2 secs to go to seal the win 67-64. The Ballers received a 2point hit from eventual 3rd place finishers Tenn Tigers 61-59. We entered the last consol bracket to face the Minn Comets Elite. Down 6 with 20 secs remaining Jason Rebuck nailed a 3 pointer to close the deficit to 2. Jared Wagner stole the ball and pitched the ball ahead to Daren Gordon who sank a 3 as time expired to seal the deal from the Ballers. In the fight for 5th place the Ballers fell to Tenn Team Tgand by the score of 56-53. The Ballers had an incredible run taking 6th place. Sept 13th weekend: The 2017 u16 Ballers won the u17 division and posted wins over BC Bolts, RAP and St Tier Rage. April 5 weekend: The 15U went 5-0 at the Berks red storm tournament. They posted wins over the following u16 teams- hatters, chris ward bball club and Lancaster cats. In the semis they beat Reading high to advance to the championship to win the ship by beating u16 Berks red storm. May 3rd weekend: Mid- Atlantic Districts: Game 1: Win over Team Supernatural. Game 2: Win over Competitive Edge. 6 players due to injury. we defeated Riverside Hawks 72-48 and ended with an 8 point overtime win over Philly Ball Hawks. Our 15’s beat the NJ Tarheels in the 1st round and DC’s Crusader Nation in the 2nd. We took out the #1 MId Atlantic AAU Team North East Sting by 27 in the Elite 8 and faced top 10 ranked Sports U Team Izod in the Final 4. We advanced to Championship after a 54-37 win over Sports U. We took a really good Dc Thunder Team in the Championship game. consol bracket where we defeated Team Melo 72 to 62 to end the tourney. Fall JamFest: The 15's are a newly formed team for the Fall Season. Their first tourney they went 3-0 and were very impressive. BABC from Massachusetts. They battled hard but a lack of practice was evident. BABC went onto the u15 Championship game. Their 3rd game they beat Pure Basketball from NJ fairly easily by 26 points. Sept 13th weekend: Our 2018 u15 Ballers won the u16 division and beat St Tier Rage, 21 Select and JB Hoops. May 17th weekend: Went 3-2 at the Under Armour Houston Invitational: In final game they beat team Felton (NC) 60-40. Joe Marshall had 15 pts and 9 reb. Milik Gantz had 13 pts, 8 asst, 6 reb. Jahaad Proctor had 11 pts and 5 steals. Game 3: Win vs. Lakeshow Elite(CA) 58-52. J. Proctor scores 20pts/5stls, M. Gantz has 16pts/8reb/8aast, & A. Eudy 11pts/10reb. Game 4: Win vs. GymRats(NY) 81-55 as J. Proctor scores 25pts, O. Little has 13, A. Gress with 12 & D. Williams ends wit 10. Game 1: Win 55-53 over We R1. D. Painter 22, S. Stankiewicz 13, K. Nwandu 5, D. Ford 4, M. Morgan 4. Game 2: Lost 75-68 to LL Running Rebels. D. Painter had 16, K. Kwandu 10, S. Stankiewicz 9, D. Ford 8, D. Maxfield 8, S. Allen 8. Game 3: Win 55-51 over Bedlam VA. S. Allen 11, D. Painter 10, S. Stankiewicz 8, D. Ford 8. Game 4: Win 51-35 over LL Running Rebels. D. Painter had 13, D. Ford 13, S. Allen 6, S. Stankiewicz, 9, M. Morgan 8. May 17th weekend: Went 1-2 at Under Armour Houston Invitational: Lost game 1 to Mississippi Elite, won game 2 vs Juice All-Stars, lost game 3 to Gary Payton's Hard 2 guard. Game 1: Win. D. Painter 15, S. Allen 11, M. Morgan 9, S Stankiewicz 8, T. Funk 5. Game 2: Win 77-75 vs Team Final Blue. D. Painter 15, K. Nwandu 11, S. Stankiewicz 10, M. Morgan 17, D. Maxfield 10. June 28th weekend: The United Ballers 17U basketball team (Cedar Crest) just won the Division 3 AAU East Coast National Championship! 6'5 Jaquan Grimes (Donegal) was instrumental with solid putbacks and offensive rebounds.